The clear advantage of tea is the lack of disadvantages. 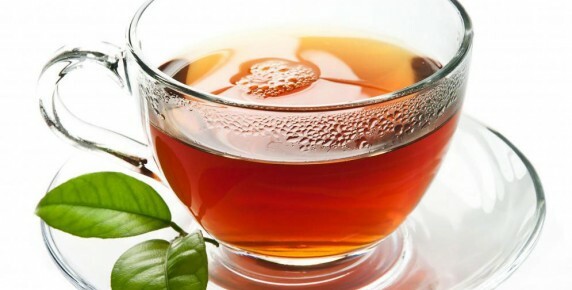 While other beverages, such as coffee and especially soft drinks, can have multiple negative health properties, tea is unlike those many others. However, there are also numerous health benefits of this flavorful drink, such as disease prevention. While many advantages are specific to different types of tea, there are interlinking properties that are clear based on extensive research and the sheer history of usage from Asia to the Americas. As previously mentioned, one of the most important health benefits of tea is the fact that they do not contain excessive sugar, caffeine, or any other nasty ingredients. The following characteristics are also exceptionally helpful for the body too. They also offer natural sweetness and smooth flavors without the use of sugars or sugar substitutes, but fruits and herbs are a great healthy complement depending on the type. It even makes for a healthy snack when combined with dark chocolate or honey for all the advantages listed above and the antioxidants and more from the dark chocolate and natural sweeteners. The key property is the fact that each type of tea is derived from the Camellia sinensis plant, which contains various antioxidants. The most critical of these is ECGC that helps reduce free radical damage within the body. Moving the past the scientific terminology, ECGC is proven by research to aid in preventing cancer, lowering LDL cholesterol, and improving blood flow by helping unblock clogged arteries. Another great advantage is being a staple in many relaxation routines. Some people prefer yoga or Pilates, but many others take on an alternative approach. A good routine before bedtime to help relax and fall asleep is by brewing some tea, sitting in a comfy chair in front of a fireplace or sunset. and sipping on the drink while listening to classical or similarly relaxing music. Sleep with overtake you very quickly, perfect for those with insomnia or similar sleeping troubles. In conclusion, the health benefits of tea are numerous and wide spread from critical thinking to even more extensive measures such as reducing the risk of cancer. Every category, such as green or herbal, has certain special qualities, but the majority of advantages are possessed by multiple variations. The reason for this is that every type comes from the Camellia sinensis plant. Therefore, they all contain antioxidants, such as ECGC, that reduce free radical damage within the body. That reduction helps prevent diseases and eliminate certain health problems, such as artery blockage. The best idea is to find your favorite type of tea from the local grocery or health store to replace the unhealthy beverage alternatives, such as coffee and soda, for an enjoyable and healthy substitute to improve energy and longevity.